100% Biodegradable formula! 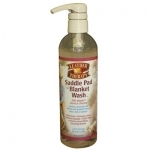 Specially formulated to clean horse blankets constructed of synthetics, canvas, cotton, polyester, polycotton, acrylic or denim. 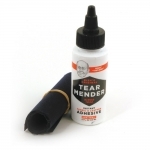 Restores soft and supple feel to natural and synthetic suede or smooth leathers, fabrics and wool fleece. Adds rich conditioning emollients and anti-static benefits into rinse water to increase softness. Clean and condition leather, fabric and sheepskin items in your washing machine. Revolutionary emollient-rich, anti-static conditioning rinse for natural or synthetic leathers. Eliminates odors and brightens colors on breathable, waterproof fabrics while caring for blankets, saddle pads and rain sheets created from hi-tech textiles. Liquid laundry concentrate breaks down heavy soils and protein-based grime and contaminants. 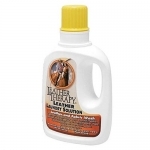 Leather Therapy Saddle Pad & Blanket Wash Gift Set 4oz of wash and 4 oz of rinse! 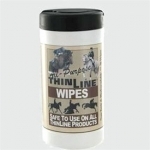 Works from the inside-out to protect tack and equipment * Dirt doesn't have a chance! Easy way to keep your waterproof garments performance up while traveling. 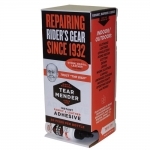 Makes a permanent repair that will with-stand all weather and wear conditions. 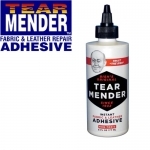 Tear Mender delivers instant bonds to fabrics and leather. Durable, flexible and wash proof. Your not limited to just ThinLine equipment, this fabulous cleaner can be used on almost everything else too. Your not limited to just ThinLine equipment, this fabulous cleaner can be used on almost everything else too! Designed to optimize conditioning of the natural fiber cuticle and enhance the softness of delicate synthetic items. Cleans and refreshes all wools and synthetic yarns. Absolutely nothing beats professional grade power scour for cleaning your fleeces and raw fibre.